THE BLACK DAHLIA MURDER: nuevo tema "Goat Of Departure"
THE BLACK DAHLIA MURDER: nuevo disco "Abysmal"
The Black Dahlia Murder han presentado la portada de su nuevo disco "Abysmal" que será lanzado por Metal Blade el 18 de septiembre. The Black Dahlia Murder have returned with the much-anticipated, new full-length album Abysmal, which is now officially set for a September 18th release. This vicious slab of unrelenting aggression showcases TBDM at their very finest with a meticulous, pin-point precise rhythmic assault mixed with ferocious speed and dynamic hooks. The group kicks off a tour of Australia next week with Psycroptic and Colossvs, so be sure to head over to facebook.com/theblackdahliamurderofficial for all tour dates and look for brand new music to surface in the coming weeks. THE BLACK DAHLIA MURDER: nuevo tema "Vlad, Son of the Dragon"
THE BLACK DAHLIA MURDER: nuevo tema "Receipt"
THE BLACK DAHLIA MURDER: nuevo tema "Threat Level Number Three"
"Abysmal" el nuevo disco de Black Dahlia Murder será lanzado por Metal Blade el 18 de septiembre. 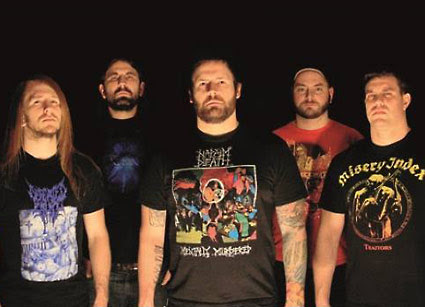 THE BLACK DAHLIA MURDER: detalles de su nuevo disco "Nightbringers"
The Black Dahlia Murder lanzará su octavo álbum de larga duración, "Nightbringers", el 6 de octubre a través de Metal Blade Records. 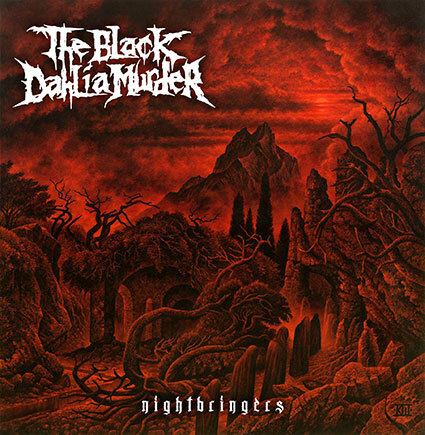 THE BLACK DAHLIA MURDER: nuevo tema "Matriarch"
THE BLACK DAHLIA MURDER: nuevo tema "Kings of the Nightworld"